When a major tournament is drawing to an end the attention usually shifts from initial amazement about its wonderful new venues to wondering whether these venues will find a destiny after the tournament. That is, we start talking about its legacy. We have already touched twice on the legacy of Euro 2012. First we compared the tournament with Portugal’s Euro 2004 and concluded that Poland and Ukraine have a lot more going for them than the Portuguese. In a more recent article we made a side note though when we analysed the costs of the Euro 2012, which were, to say the least, slightly on the high side. But we are not going to do another round on the legacy of Euro 2012, but instead look at a past tournament which may have the most unfortunate legacy of all. Many will automatically think of Portugal or South Africa, poster children of stadiums left empty after the tournament, but there is possibly an even more tragic example, and that is Italia 1990. Italia 1990 is generally a tournament that divides opinion. One can love it for the dramatic spectacle it was, or hate it because of the disappointment of the football. What is clear though, is that it was a tournament that lay at a turning point in football history. Not only because of the introduction of a more organised and defending form of football, but also because of it was the last tournament before the commercialisation of the Premier League and Champions League set in. Italia 1990 lay at a similar turning point from a venue point of view. A total of 12 venues had been selected, two more than in France eight years later and a similar amount as in Germany in 2006, though with 12 matches less to play. This meant that most stadiums hosted either three or four matches, not much for a World Cup. While few new stadiums were built for the World Cup (this was only the case for Stadio Delle Alpi and Stadio San Nicola), most stadiums did undergo significant renovations. 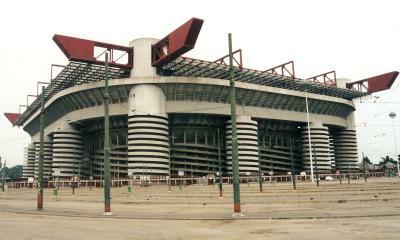 The San Siro of today, for example, hardly resembles the pre-1990 San Siro. An extra tier was added, the characteristic 11 cilinders were erected, and a roof was put on top. Though Rome’s Stadio Olimpico was initially only planned to get extensively renovated, several redesigns later an almost complete new stadium was built. With a price tag three times its initial size. Another stadium that got almost completely rebuilt was Genoa’s Stadio Luigi Ferraris, while the likes of Napoli’s Stadio San Paolo and Florence’s Stadio Comunale got extensively refurbished. Udinese’s Stadio Friuli needed the least work as it had only been completed in 1976. These stadiums of course came at a price, at about 1,250 billion Italian Lira to be precise. And in good Italian fashion 84% more expensive than budgeted. Converting old Italian Lira to present-day Euros is no easy exercise, but a reasonable estimate is that about €1 billion was spent on the venues and a few side projects (of which, of course, quite a few were never finished such as the infamous Ponte Lambro hotel in Milan). So what did Italy get for all this money? Well, not much*. Apart from a lot of debt. This was however not entirely the fault of Italy, but more a result of very unfortunate timing. Because, as we mentioned earlier, the early 1990s were kind of a turning point in stadium design. When we take a look at our timeline of stadium openings we see that practically no large stadiums were built in the late 1970s and 1980s. Spanish stadiums underwent some renovations and expansions in preparation for the 1982 World Cup, but most stadiums were relics of past times that more focused on keeping hooligans off the pitch than on providing comfort for its visitors. Big money had not flooded into the sport yet and it was plagued by negative incidents and stadium disasters. Clubs did not have the money to invest in football stadiums nor did city councils in these economically mediocre times. But Italy had gotten the World Cup and needed better and larger venues. The result was more than sufficient to match the expectations of the time, after all, few people complained during the World Cup. The often large concrete structures offered few luxuries, no shiny exteriors, only occasionally cover, and seats with a back were not yet a FIFA requirement. They were generally bowl-shaped as is typical for Italian stadiums, and had furthermore athletics tracks circling the pitch. But few people expected more of a football stadium at that time. The problem is, people did a few years later. The landscape of stadium design had radically changed. English stadiums started the trend with the conversion into all-seaters following the Taylor Report, which often led to new and modern stands to be built. Copenhagen’s Parken was one of the first newly-built modern arenas, and Middlesbrough’s Riverside Stadium set the tone for mid-sized arenas. The opening of the Amsterdam ArenA in 1996 was a revolution for large stadium design, which was followed two years later by the opening of the Stade de France. From there on every major European club felt the need to have a modern arena, not in the least because of the extra income the corporate facilities would provide. First the English and the Dutch, then the Germans and the Scandinavians, and at the moment the French and the Spanish. And the Italians? Well, if you have just built or extensively renovated a stadium, you aren’t very inclined to immediately start all over again. What’s more, the city councils that traditionally own football stadiums in Italy were still paying off their investments in Italia 1990. This left Italian clubs in the awkward situation of having technically new stadiums that were completely out of date in comparison with the standards of the time. Without any realistic possibility to change this. The best example is likely Stadio Delle Alpi, which was newly built for Italia 1990 and had a capacity of almost 70,000 seats. It was paid for by the city of Turin at an estimated cost of €200 million (present-day €), but part of the funding was provided for by Italian Olympic Committee CONI, which in turn demanded athletics tracks. The result was a soulless stadium with the stands far off the pitch, bad visibility, and flaws in the design that left spectators exposed to the elements. 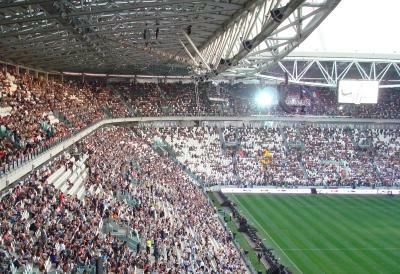 The fans of both Juventus and Torino could not stand it. Even worse was that the financing costs and sky-high maintenance costs were transferred into exorbitant rental fees for the clubs. As soon as the clubs found an opportunity to get out, they did. 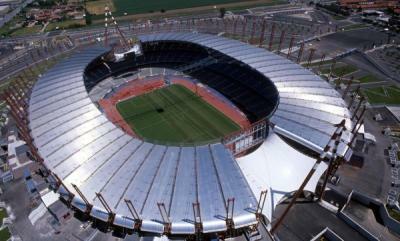 Which happened when in 2006 the smaller and recently renovated Stadio Olimpico di Torino reopened. Two years later Delle Alpi got demolished, only 18 years after its opening. The athletics tracks had hardly been used. Bari’s Stadio San Nicola tells a similar story. In 1990 it was a brand new concrete colossus with 52,000 seats and CONI-demanded athletics tracks. Last season Bari attracted just over 5,000 fans per match in the Serie B and the city of Bari is buckling under large maintenance costs. There are hopes that the stadium can be converted into a smaller version, but there is no money. Worse is that nearby Lecce had just finished a major expansion of its Stadio Via Del Mare in 1985 in the hope of being a playing venue at the World Cup. Last season Lecce averaged 8,000 spectators a match in a stadium with a capacity of 33,000. In the last few years every club with a 1990 playing venue has proposed or at least played with the idea of building a new stadium. Most of the plans have gotten stuck, and usually the same dynamic is in play. The clubs themselves are reluctant to invest in a stadium they don’t own and can’t get full benefits from. They therefore propose a new stadium at a different location, which they will then fully own. The council needs to give permission, but of course doesn’t just want to give up a solid revenue stream (the rental income of the present stadium). In particular as they are often still paying of the debts of the construction of the old stadium. State accounts indicate that in 2011 alone at least €55 million was paid in interest payments related to Italia 1990 investments. The problem is of course only exacerbated by the at times extremely slow Italian bureaucracy. The best example is probably Cagliari. 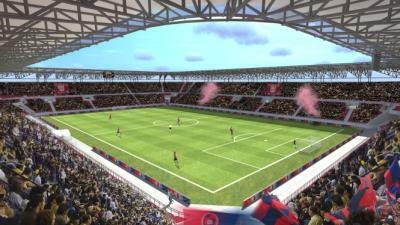 Cagliari’s Stadio Sant’Elia was literally crumbling apart and a few years ago the club presented concrete plans for the construction of new stadium. A typical modern arena with 23,200 seats and completely privately financed. Bureaucracy, opposition, and an unwilling council however led to an ever escalating conflict that resulted in the embarrassment of Cagliari playing the last home matches of this season almost 1,000 kilometres away in Trieste. Cagliari chairman Cellino has now put his foot in the sand and arranged to build a makeshift stadium in a neighbouring municipality, at which Cagliari will play for the next three years, while hoping that in the meantime a resolution is found for his stadium project. This Italian impasse, though dire, is of course not hopeless. One solution would be to host another major football tournament, which would likely force the federal government to make significant contributions. While the benefits for Italian football would be clear, doing so would obviously be hugely irresponsible from a macro-economical perspective. Italy tried anyway, but bids to host Euro 2012 and then Euro 2016 both failed. Another solution would be to move to a neighbouring municipality, the Cagliari route. This is, of course, hardly a popular choice with the fans who are often used to stadiums in central locations. The third option seems to be the most realistic though, which is the Juventus option. Juventus is the success story of how a hopeless situation turned into a new and modern arena, the recently opened Juventus Stadium. We have already told part of the story, which was the construction of the dreadful Delle Alpi and Juventus finally moving away in 2006 to Torino’s Stadio Olimpico. But we have not mentioned yet that the city of Turin and Juventus had started negotiating a few years earlier and that Juventus had bought Delle Alpi from the city for a price of €25 million. Whether the city took of a loss for this or is even still paying for the stadium is unclear, but most important is that they came to an agreement. Juventus’ objective was obviously to tear Delle Alpi down and replace it with a modern stadium, which they did, albeit with a bit of delay (partly caused by the match-fixing scandal). The much-lauded and club-owned Juventus Stadium opened in September last year and has been almost consistently sold out this season. This would obviously be a plausible route to take for some of the other clubs, though not every one of them may have the funds to buy their stadium and not every city may be willing to take a loss. AS Roma is currently closest to building a new stadium. They might actually be taking the route of moving to a nearby municipality and have recently been actively shopping around. But Stadio Olimpico is CONI-owned, which may limit any potential conflict with the city of Rome. Most of the other clubs, including Napoli, Inter, and Palermo, have more vague intentions than clear plans and it remains to be seen whether they can make an effective case for a new stadium. Time is not on Serie A’s side though. England and Germany already have an almost complete set of modern stadiums and the French will receive an upgrade for Euro 2016. Spain has a few high-profile projects, but still lacks a bit of depth, however outside competition may come from rising leagues such as Russia’s and Brazil’s. Fortunately Italy has a habit of bouncing back from adversity, but only time will tell whether the Juventus Stadium has been the start of a revival of Italian stadium grandeur, or if this story has been the prelude of Serie A’s decline to a second-tier league. * The renovated San Siro is of course a phenomenal stadium and also the new Stadio Olimpico has served its purpose and hosted two Champions League finals in the last 20 years. We are obviously exaggerating to make our point. Photo credits: Stadio San Nicola © Papesatan | Karalis Arena © Cagliaricalcio.net | Juventus Stadium © Francesco Prota | Thanks also to @Solano_56 for some background information. Very interesting article. It is the first time I read something about the legacy of Italy ’90 related with its stadiums. That World Cup was the first I enjoyed like a fan, I had 9 years old, and for me that was an amazing event.